Angela Fumarola, together with Fabio Masi, is the artistic director of Armunia/Festival Inequilibrio. She is one of the three Italian members of the Commission of NID Platform 2017. You have been appointed as a commissioner forNID Platform 2017. Had you heard about this project before? What are its strengths, in your opinion? I knew about the project already, and I think it is an interesting opportunity for exchange and dialogue. If we wish to expand and develop the culture around dance, it is crucial that we have these moments of sharing, these contexts which enable us to look beyond the present situation; and make some adjustments, if needed, always with a view to increasing opportunities. The strengths of NID Platform come from the fact that each single edition is a checkpoint for the state of affairs: the processes that the whole dance community puts in place – through projects, actions, choices and productions – are discussed and assessed. I would say that the main strength of NID Platform is the call it makes to the whole sector for this act of reflection. And I hope that this reflection indeed takes place, and brings about futher and futher developments. 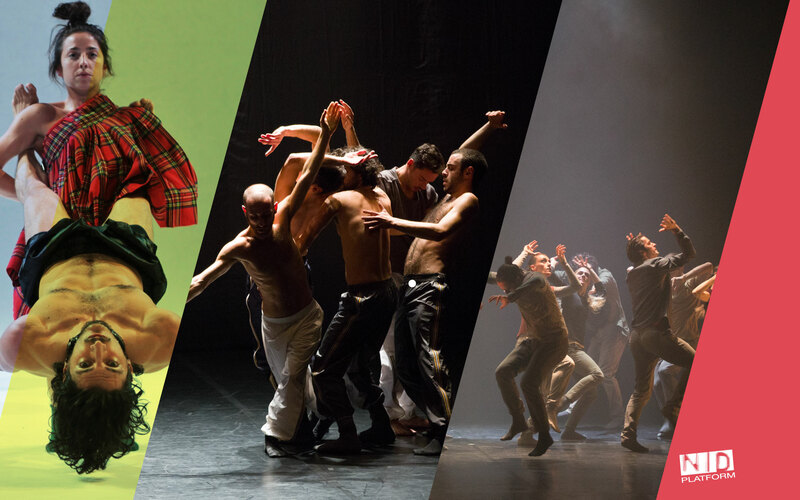 Do you believe that nowadays there is a new creativity in Italian dance? I think there is a very high potential. New generations can express creativity with free awareness. Surely there is a strong, voluntary and intuitive effort in this growth; artists and operators show great courage and take risks; and, considering the means of support, I would say that the challenge which was launched just of of passion and dedication a few years ago has developed part of its potential. We can do more than that, but I think that everybody is working to find new ways of operating which can evolve constantly, so that creativity is not dispersed but is consolidated. In this, I recognise the huge stimulus given by the network Anticorpi XL at the national level. What are your expectations from the companies and shows which will apply to NID Platform 2017? I expect meaningful, truthful and courageous choices. I expect responsible authors, who can speak the language of the world outside the mere representation. I expect companies who can manage the relationship with the space and with the eyes of the audience. What are the problems that the Italian dance sector is currently facing, and what would you suggest in order to overcome these obstacles? I would decentralise education and training and I would spread it as much as possible, and I would focus it not only on dancers but also on choreographers. I would foster the conditions for the exchange of experiences and points of view among actors, dancers, playwrights, directors, composers and choreographers, which is precisely the intuition that the network Anticorpi XL with its action has been carrying out for some time already. I would promote the creation of meeting points for contaminating and refining the poetics of dancers through valuable training activities. I would enhance the role af creative residences and their relationship in order to mingle the culture of dance with the social fabric. I would act deep to generate further potential, attempting to eradicate the standars and numerical obligations at least for those who put new authors on schedule. I would foster the culture of dance among people, in “licei coreutici” (i.e. high schools with a focus on dance, in the Italian schhol system), and I would encourage the practise of dance among children without gender limitations, as an instrument of creativity. What sort of advice would you give to a young Italian choreographer/dancer? Travel the world, study in and outside academies, read, go to thetres and concerts, not only to dance shows. Listen to music, go to the cinema, study, refine your taste, mingle with people and discover, discover, discover. Be curious and do not be afraid of the unknown, of investigating with your body through the most culturally distant techniques, nothing is useless. I think we should work in expansion in order to bring into focus our own personal vision. And lastly I would stress the value of grace and humility, two rare and precious gifts. One of thenewest developments in NID Platform 2017 is the effort to find a point of contact with the public. Does such a thing as a “public of contemporary dance” exist? If so, what can NID Platform offer to this public? Of course it exists! Some performances have a wider audience than others, but this depends on a number of different factors. Certainly I have no doubt that those who attend a dance performance do not only choose to go see a live show, they want precisely a dance show and I think that this point should not be underestimated: the public of dance does not follow a plot, it enters a flow. I am convinced that this aspect puts a huge responsibility on artists and operators, because there is no point of arrival: it is a costant growth, which is stimulated by opportunities which are seized in order to generate continuously new possibilities. NID Platform offers to the public another point of view. A concentrate of different experiences, a journey which – we hope – brings the audience beyond their expectations.